Yorkshire is known to many as “God’s Own County”, a fact which residents of Yorkshire happily boast about both inside and outside the county. Residents of Sheffield, however, go even further, and like to consider themselves to be living in God’s city. However, there are some aspects of Sheffield which aren’t just unholy, but appear to be borderline Satanic. This is because Sheffield has a long and well-documented history of paranormal activity, some of it pretty run-of-the-mill, but some of it deeply disturbing. 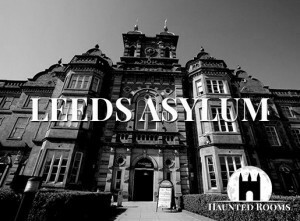 In this article, we’re going to be looking at five of the most haunted places in all of Sheffield. It wasn’t easy to narrow it down, but we think we got it to a pretty terrifying few, and here they are. 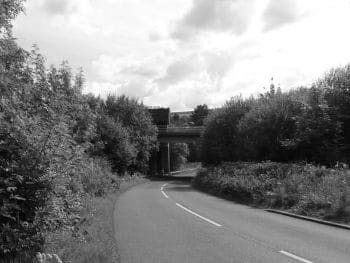 Kicking things off is the Stocksbridge Bypass, the only bypass in the world which travellers may be tempted to bypass. Millions of pounds were spent during the construction of the bypass and many of the workers who were brought in to assist in the building opted to sleep on site for the duration of the project. The workmen repeatedly reported hearing the sound of children laughing in the dead of night, but were unable to find the cause of the noise despite frequent investigations. Shortly after this, a group of children began appearing seemingly from out of nowhere. The juveniles were witnessed dancing in a circle around a pylon near the bypass, but would disappear upon realising they were being watched. Police officers were assigned to investigate the bizarre happenings, though the early hours of their overnight stakeout failed to return anything of note. However, after a couple of uneventful hours sitting in their squad car, the officers were overcome by a feeling of fear and were shocked to see a shadowy figure standing outside the car. Though the figure quickly vanished, the men’s badges required them to exit their vehicle and investigate further. Fortunately for them, they found no evidence of what they had seen and so they returned to their car and drove a little further down the bypass. When the men pulled over again, their car was almost immediately hit by what felt like a larger speeding vehicle. Another investigation revealed that there had been no damage to the car. This occurred twice more over the course of the night, with the officers failing to find an explanation every time. Since that night, hundreds of motorists have reported encountering hooded, monk-like figures on the Stocksbridge Bypass, making it one of the most haunted stretches of road in the world. The Old Queen’s Head public house on Pond Hill Sheffield is located inside the oldest domestic building in the entire city. 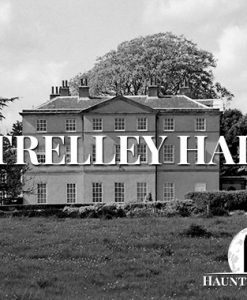 Throughout its history, the building has been home to a number of affluent members of society, including the Earl of Shrewsbury. Though the Old Queen’s Head pub was originally opened in the building next to the home, it eventually expanded to the property in the 1800s. The word ‘creepy’ is used a lot these days, but rarely to describe paranormal activity. Instead, it is a description given to guys who are a little bit overly-handsy and make women uncomfortable with their behaviour. However, either definition of the word would accurately describe one of the most notorious ghosts at Old Queen’s Head. The spirit in question is said to haunt the ladies room of the pub, and female patrons frequently report an unseen entity attempting to unlock the doors to occupied cubicles. Sometime, shortly after work was done on the pub, a pint began mysteriously appearing on bar at the end of the night. For a couple of nights in a row, the landlord blamed this on his staff failing to clean up properly, but all insisted that the pint had not been there when they were preparing the pub for closure. In an attempt to figure out which one of his regulars was leaving the pint behind night after night, the landlord tested the drink only to discover that it was not any beverage he served in his bar. His interest peaked, the landlord decided to leave the pint on the bar and returned the next morning to find that it had been drunk. Determined to figure out what was going on, he set up a CCTV camera, but was dismayed to find the phantom pint never appeared again. 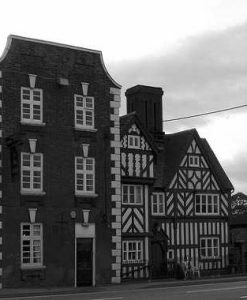 Unlike a lot of haunted places throughout the United Kingdom, Carbrook Hall uses its paranormal activity as a major selling point and openly boasts about being “Sheffield’s most haunted public house”. 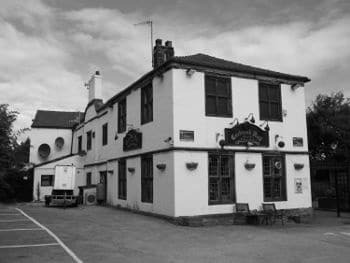 Whether it is indeed Sheffield’s most haunted public house is up for debate, but one thing that can’t be denied is that Carbrook Hall has been the scene of a great deal of unexplainable events. 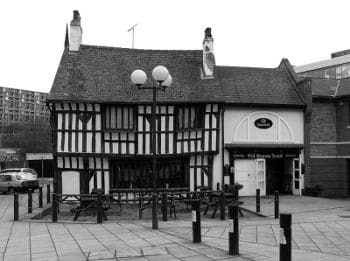 The public house has a large number of ghosts which people come for miles hoping to encounter. 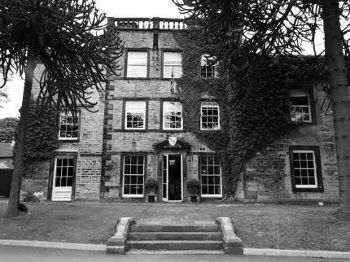 Among the many ghosts of Carbrook Hall is John Blunt, who was the proprietor when Oliver Cromwell used the pub to hold meetings during the 1640s. Blunt’s spirit does not cause a whole lot of trouble, nor does the ghost of an elderly lady in 1920s clothing, who is frequently seen rocking back and forth in a rocking chair. Like Old Queen’s Head, the bathrooms of Carbrook Hall are haunted by a mischievous spirit who has been known to prevent women from leaving their cubicles. The pub has also been the scene of much suffering. In January of 1875, two men were passing the winter hours by drinking themselves into a stupor. As the evening came to an end and the pub prepared to close for the night, the friends began to wrestle each other. Though this was done in good spirit and was cheered on by their fellow drinkers, tragedy struck when one of the men accidentally stabbed his drinking buddy. According to reports, the killer at one point jokingly held up the knife and mock stabbed his friend. However, he did not put it down and, in his drunken state, forgot he was holding it until he swung his arm and fatally wounded his pal. 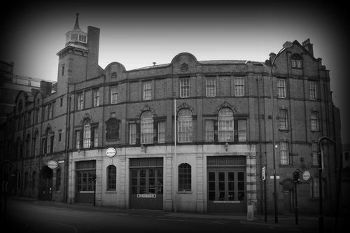 Sheffield Fire and Police Museum is a popular spot for fire and police buffs (obviously), but has also developed a surprising level of popularity among paranormal enthusiasts and ghost hunters. This is because reports of hauntings at the museum are captivating and copious, and the museum owners welcome paranormal groups for overnight ghost hunts on a regular basis. In fact, Haunted Rooms often teams with the museum proprietors in order to ensure a memorable experience for all involved, and details of upcoming ghost hunts can be found on the Events section of our website. Should you choose to tag along on one of our excursions to the Sheffield Fire and Police Museum, you might just encounter Cain, who is not shy when it comes to interacting with mediums who are brought to the site. According to Cain himself, he was a prisoner at the museum back when it was still being used as a police station, and has even pointed out the cell which was once his. However, Cain can quickly become violent and does not react well when people attempt to enter the cell in which he spent much of his earthly life. He has been known to send glasses hurling across the room in fits of rage, and has on occasion tried to hit visitors with whatever items he can get his ghostly hands on. Mosborough Hall Hotel is an extraordinarily beautiful hotel located on Sheffield High Street and is a popular choice for young couples looking for a venue to host their fairytale wedding. However, some of the stories which have come out of the hotel could more easily have been written by Stephen King than Hans Christian Andersen. Mosborough Hall is said to be home to a large quantity of ghosts, the most famous of which Being The White Lady, who has been a resident of the manor since her death back in the 16th Century. The story goes that The White Lady entered into a tempestuous affair with the man of the house and became pregnant with his child. Though he initially promised to provide the young woman with riches, love, and whatever else she might need in order to raise their child, the squire quickly went back on his promise and refused to give the young lady a penny. This led to many screaming matches between the two, which likely account for the yelling and hostile voices which guests at the hotel have been reporting for years. Not long after their final argument, the desperate squire took the young woman’s life by slitting her throat, killing her and his unborn child. It is said that after the woman’s murder, her dog discovered her lifeless body and pined to death for its fallen owner. This may explain the sightings of a phantom hound which have also been reported with frequency. 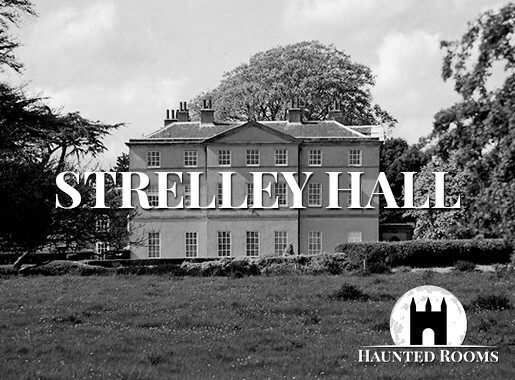 During the early 20th Century, a Mosborough doctor who was so steadfast in his belief of science and logic over legend and folklore decided to prove that there was no substance to the rumours of hauntings at Mosborough Hall by spending the night alone in one of the manor’s rooms. The night passed without incident, but the following morning a member of staff came to unlock the bedroom door and discovered the doctor’s bed dripping with blood. The doctor, thankfully, was unharmed, and did not notice the blood himself until he turned around from greeting the staff member. This means the buckets of blood materialised on the doctor’s bed in a matter of seconds when his back was turned.